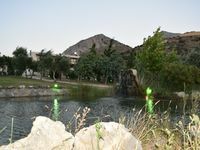 Property 1: Afroditi Villa, goddess Of Beauty And Pleasure In Cretan Nature! Property 3: Lefkogia Cottage in a farm! Only 1 km from the beach. Yes! You can have it all! Property 8: Estia, "goddess" Of Family And Warmth In Cretan Nature! Traditional cottage with panoramic view. Ideal for couples and families. Property 11: Traditional cottage with panoramic view. Ideal for couples and families. Cottage House With Amazing Mountain View In A Quiet Small Village! Property 13: Cottage House With Amazing Mountain View In A Quiet Small Village! Property 15: Relax and Enjoy the Cretan nature at Villa Estia! 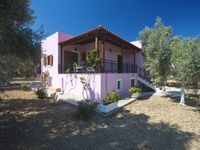 Property 18: Liakada Cottage, amazing sunsets & sea views! Property 22: Experience the authentic Cretan spirit at Villa Afroditi! Property 23: When beauty meets natural simplicity in a Cretan field! Property 24: POOL HOUSE WITH FANTASTIC VIEW OVER THE SEA AND THE MOUNTAINS WITH ROOFTERRACE. Property 27: Athina, "goddess" of wisdom and inspiration! Property 32: Amari Krini House is the ideal place to spend beautiful and peaceful holidays. Property 37: Cottage to meet Village life 2km from the beach! Property 39: HELIOS. Hidden paradise. Property 40: Experience the authentic Cretan spirit at Villa Afroditi!